On February 27, 2018 I stood on the side of Government Street and witnessed hundreds of police officers escorting one of their own, Justin Billa, to his final resting place. I had never met Justin but I felt the need to pay respects for him because he could have saved my life or kept me safe at one point without me even knowing it. He put his life on the line to protect me and my family everyday and his family and other officers needed to know that I supported them. It was a very humbling experience watching all of the people line up on the side of the road and to see all of the patrol cars that came from hundreds of miles away to be with Justin that day. It’s a feeling that I know many in our community also felt that day. Over the past year my boyfriend and I have gone to various charity and social events that were in honor of Justin and for the community. I have been honored to be able to meet his mother, wife and co-workers. The amazing heart and love of those that were in Justin’s life is something we all wish to have in our own lives. In my line of work the products that our clients leave with are something that they cherish for a lifetime. Photos are important in so many different ways. When someone passes sometimes all we have left of them or the one thing we cherish most are the portraits that they are in. Or as we age and our minds sometimes start to give us a hard time, photos are what get us through the day. I have spent many hours with my family looking at old photographs and talking and laughing over the memories in each one. 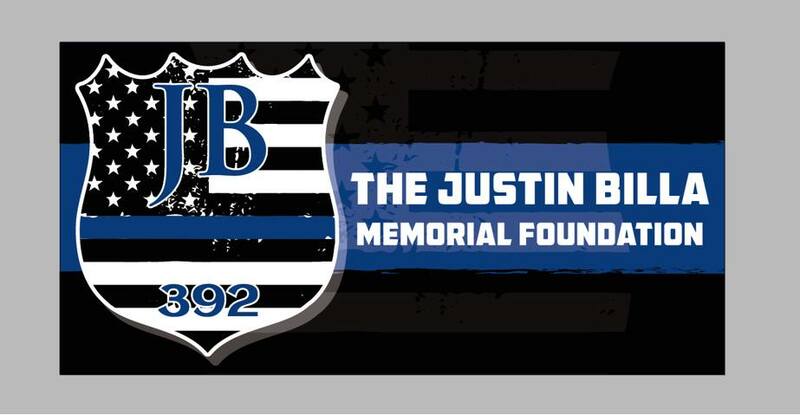 When I first read about The Justin Billa Memorial Foundation and what Erin’s plans for the foundation were I immediately knew that I wanted to help in my own way. In August, I began saving 10% of my print sales to donate to Erin and the foundation with plans to donate that percent of my print sales bi-yearly every August and February, I sent my sales from August and have been saving since then for a February donation. But to me it just didn’t seem like that wasn’t enough and I began putting together Photos That Make A Difference in December of 2018. Photos That Make A Difference has 5 volunteer photographers offering to take family, teen/senior, couple, and children portraits for a minimum donation of $20 to The Justin Billa Memorial Foundation. Each photo session will be 10 minutes long and 5 edited digital files will be emailed within 2-3 weeks. My goal for the first annual event is to raise at least $1000 for our first year. I and the other volunteer photographers look forward to meeting everyone and providing all of the donors with beautiful portraits to last a lifetime.